The first review of arts and homelessness in the UK is currently being conducted in Scotland and we need your help! 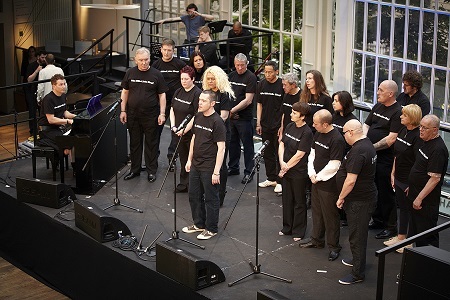 This review is being conducted by a team of local researchers for With One Voice the international arts and homelessness movement, which supports homelessness and arts organisations to work together, connecting and strengthening the sector, nurturing new projects and helping to shape exchanges in practice and policy. We invite participants, practitioners, individuals and organisations to complete this survey and help us understand more about the arts and homeless sector across Scotland. Your involvement is hugely appreciated and will contribute to a publicly available report. This survey will stay open until September 22. We will ask you at the end of this survey if you would like to share your contact details with us or remain anonymous. If you have any questions or would rather speak to the research team on the phone or in person, then please get in touch!